7 Actors. 35 Characters. 8-Second Quick Changes. Vanity Fair is a theatrical spectacle, a kaleidoscope of colors and costumes and characters—35 characters, to be exact. 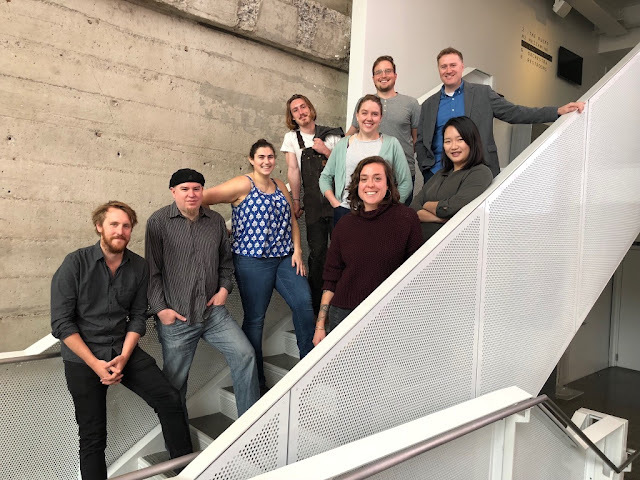 The seven performers engage the full range of their physical and vocal abilities to distinguish between Thackeray’s classic figures, from the stringent Miss Pinkerton to bawdy Rawdon, from slimy Pitt Crawley to his saintly son. Cleats. Corner Kicks. Conversations About Global Genocide. Ever wonder what goes into the making of a show? What decisions are made before the reviews get rolling? What steps are taken to get the cast onstage, in front of a fully constructed set, wearing well-designed costumes, and accompanied with stunning visual and sound effects, all working together to bring the story to audience hearts? The Production Department makes that happen; we’re the master cooperator that helps realize all the artists’ visions onstage. Our responsibilities range from small tasks, such as purchasing cough drops for the cast, to really large tasks—ensuring all aspects of production are efficient and safe, keeping everyone onstage and offstage alive and intact. There are so many small but essential details that need to be completed before a show can open. It’s only when the audience doesn’t notice any of these things that we know we’ve done a good job. In a room deep below the bustling crowd, performers prepare for a great entertainment spectacle. They put masks over their heads, they cover their bodies with brightly colored outfits, they rub greasepaint on their faces. As they step out into the arena, the crowd roars. Is this a grand drama on the stage of The Geary, or the Super Bowl? The idea of performance—sporting or theatrical—is full of crossover, and costume is just one shared element. 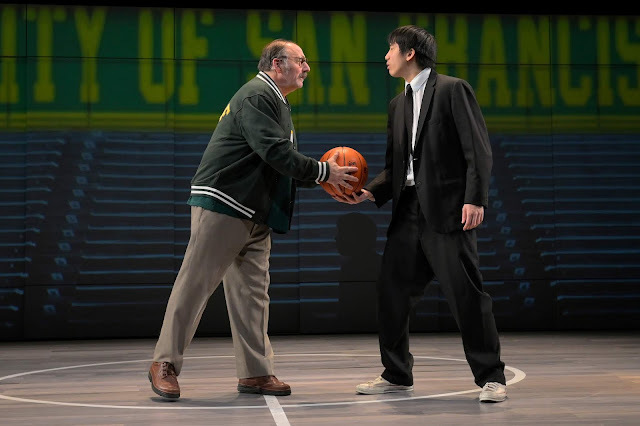 While we are used to seeing actors transfigure to create three-dimensional characters onstage, the same transformation takes place in the world of sports. Think of football players, layering their bodies with helmets, shoulder pads, gloves, and mouthguards, or ice hockey goaltenders donning wire-mesh faceguards and throat protectors. These “costumes” are just as essential as those on a stage. Obie Award–winning designer David Israel Reynoso has done a bit of everything: costume design and scenic design, regional theaters and dance companies, shows for stages and immersive experiences for museums. Last season, he brought his expansive toolkit to The Geary, designing costumes and set for Hamlet. This year, he returns to A.C.T. as scenic designer for Mfoniso Udofia’s Her Portmanteau at The Strand. We sat down with Reynoso to hear more about infusing this thoughtful, intimate drama with subtle psychological cues. Which aspect of the Her Portmanteau design was your favorite to conceptualize? Being an actor means a lot of preparation: researching the play’s context and analyzing character motivations, attending costume fittings and spending hours in blocking rehearsals. Another important prep step not often revealed? Pre-show skincare. Stage makeup is heavier than day-to-day makeup, often causing allergic reactions, breakouts, and dryness—which nobody wants, especially someone who stands under stage lights every day. 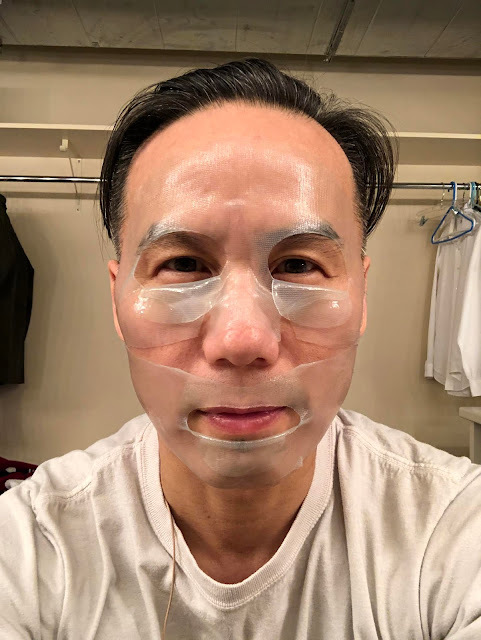 So how are actors in The Great Leap (running through March 31 at The Geary) making sure their faces are stage-ready?